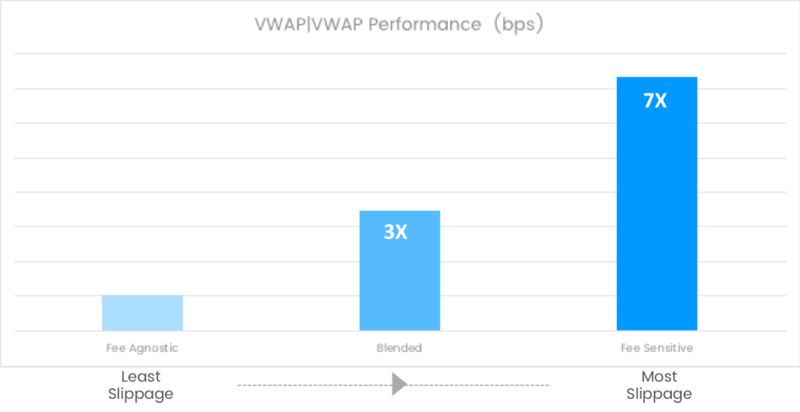 The fee-sensitive configured algorithm missed the VWAP and underperformed by 7x as compared to the fee agnostic and the blended missed by 3x. 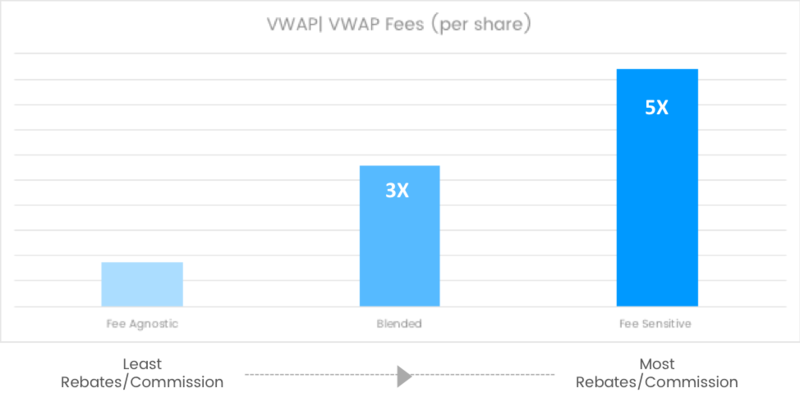 Rebates/commissions earned by the fee sensitive configuration was 5x greater than the fee agnostic and the blended was 3x better. Are the rebates worth it? As the buy-side becomes more involved and accountable for best-ex protocols, they are also becoming more conscious of the performance of the brokers in their network. For brokers who use fee sensitive configurations versus the fee agnostic configurations, the tradeoff could be the difference of getting the next order. While these brokers are receiving greater rebates, they are doing so by sacrificing performance and adversely impacting their business relationships to the point where they may lose business. To illustrate further, assume you executed 100,000 shares of XYZ at $125/share. The notional value (dollar value of the shares executed) is $12.5 million dollars. The table below illustrates that for $12,500,000, notional using the fee sensitive configuration, you are potentially giving up $7,913 in performance for only gaining $153 in rebates. Is sacrificing 7x in performance for your client worth $153 or is proving performance the better tradeoff?